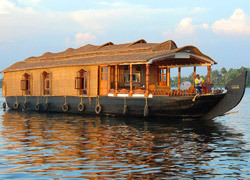 The best honeymoon destinations in India are either hill stations or beach towns. Both have the capacity to provide you full sense of honeymoon and making marvelous memories. What to choose is all about the collective decision of both of you. Beach Honeymoon in India is really a popular term. The best of the beaches in India lying in various corners of the country like Goa, Puri and Kerala attract national and international honeymooners. Providing them very convenient tour, we offer a host of superb Beach Honeymoon Packages ranging from luxury to budget to cheap. You can find several alluring Beach Honeymoon destinations (Places) in India to make you love days much comfortable. These destinations are able to offer you full rejuvenation of your mind and body both, while you see the horizon sitting with your partner at the beach. This offers you to find out new meaning of love with your partner and new beauty of the great nature. Beach Honeymoon Tours packages are able to make your tour all affordable for you and all easy for you. You just have to choose one from the large list which you find the best as per your budget and go for your honeymoon at any of the finest beaches of India. What are you waiting for? Just go for the best beach honeymoon package in india and celebrate your love at your choice of destinations.